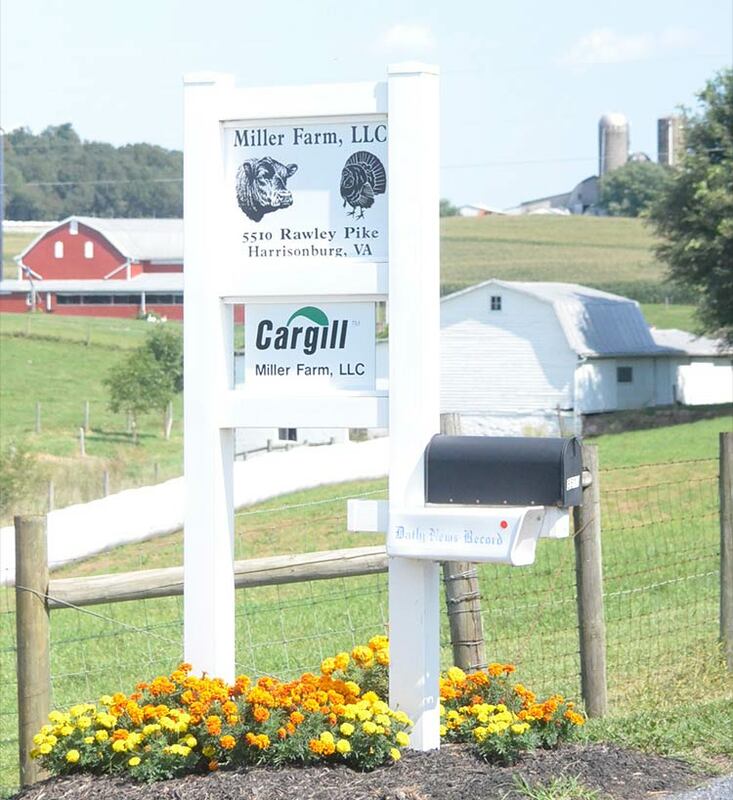 Miller Farm is a third generation farm that started in the early 1920's. Our farm is located in the heart of the Shenandoah Valley of Virginia with fertile land, surrounded by rolling mountains and scenic views. We are about two and one half hours southwest of Washington, DC and two hours northwest of our state capitol, Richmond. My father farmed while working public work and I started most of the day-to-day operations early in high school. After graduation from college, I, along with my parents and brother, built our first turkey house (1986). In 1987 I married Nancy Atkins. The following year, we added our second turkey house, which allowed me to retire from a short four years of teaching school and farm full time. In 1988 my wife and I formed a partnership with my parents and my brother and his wife. Nancy and I began our own cattle business in the early 90's, running about 100 black-hided cattle. Within the next ten years, we started buying a few registered Angus cattle. Today 85 percent of our cattle are a result of embryo transplant and 15 percent artificial insemination. We have five donor cows with around 75 recip cows. We also have two cooperator herds that add to our inventory. In November 2014 we hosted our first production sale and the second sale in November 2015 passed all expectations. We are also excited to announce that our nephew, Brennan Miller, is now a full-time employee at Miller Farm, LLC. Brennan has worked part-time on the farm since he was 14 years old. We chuckle when we think of him getting off the school bus at the end of our lane. It has been exciting to see him grow and develop into such a fine gentleman in the past six years. Brennan is a valuable part of our team. 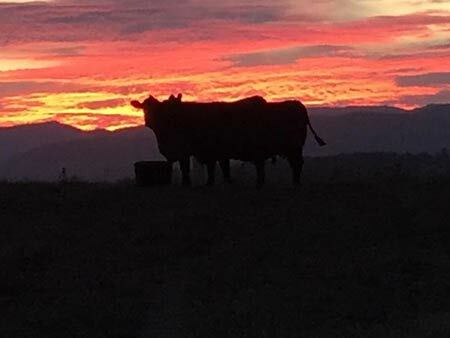 There is hardly a day that goes by that we don't study genetics and strive to improve our production-oriented cattle. We lean heavily on our partner, Jerry Gustin, who has brought passion and wisdom to our operation. Jerry is truly a great person who is an ambassador for Angus cattle. In 2010 we purchased the entire Miller Farm, LLC operation and in 2015 we added our third turkey house, which allowed Nancy to work full time on the farm (after 28 years of public work). We currently own or rent around 260 acres and market 205,000 turkeys annually for Cargill. Our daughter, Kelsey, is a University of Virginia graduate, earned her Masters of Education from Montana State University and teaches English in Box Elder, Montana. She lives in Fort Benton and it is always a special treat when we get to visit her in MT. We feel very lucky that she continues to plan trips home to Virginia, considering her busy schedule. 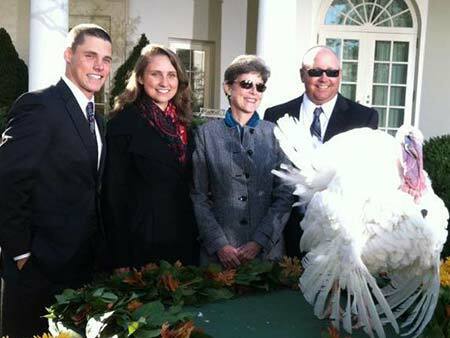 Our son, Chase, is a graduate of Kansas State University College of Veterinary Medicine and is a poultry veterinarian in Charlotte, North Carolina. 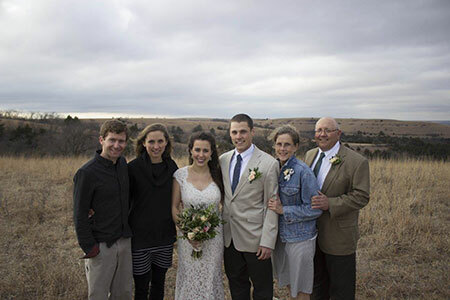 Chase and his wife, Carolyn, have a daughter named Mercy Jane. 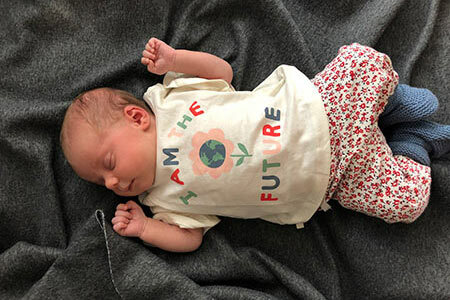 She was born in February 2019, making Nancy and I first-time grandparents. We have a great passion for agriculture and work hard to be good stewards of the land but nothing Nancy or I have achieved can take the place of the love we have for our children and the memories we have made on the farm. © Miller - Gustin Angus.